Take a journey back in time and discover George Washington's hometown Alexandria, Va. and his beloved Mt.Vernon Estate where he longed to be "Under his vine and fig tree"
Visit the ‘little church in the woods’ as it was called during George Washington’s lifetime and sit in his original pew. 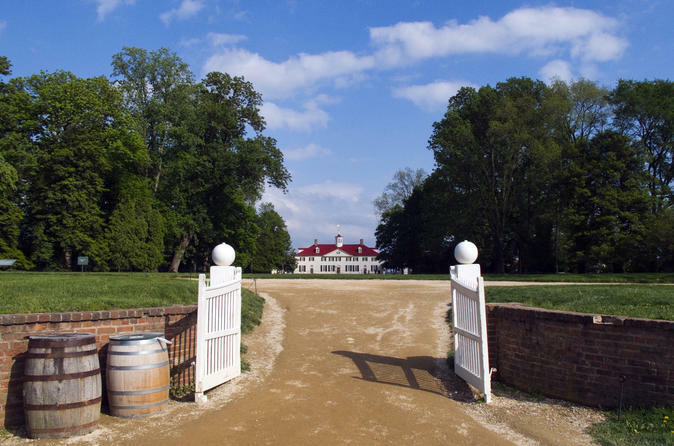 Go back in time and celebrate George Washington’s last two birthdays at the exact site. The best house in Alexandria during Washington’s lifetime. The seeds of the American Revolution are planted on this very site. One of George Washington’s dearest friends and personal physician moves to this home from Annapolis at Washington’s urging. View of the National Harbor and MGM Casino across the river on our way to Mount Vernon. This stop will be open from April - October. Please check availability. LUNCH PICNIC AT THE GRISTMILL AT 12PM IS INCLUDED IN YOUR TOUR PACKAGE! please don't forget to pick your lunch options. Kindly advise if you have any allergies and need us to provide anything to help accommodate you.